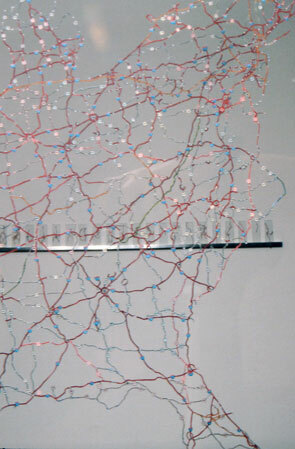 I dissected a AAA road map of the USA, removing all the land and leaving only the connected road network. 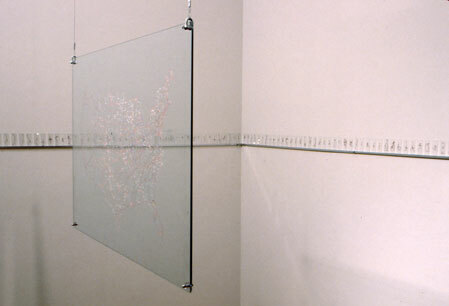 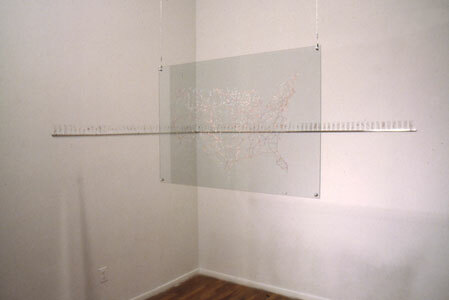 The map was sandwiched between two large pieces of glass and suspended. 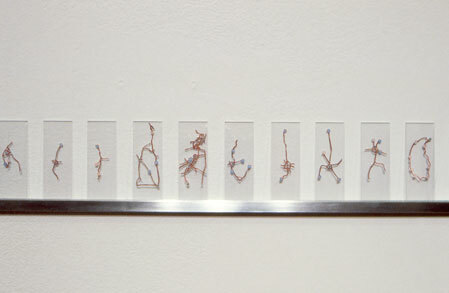 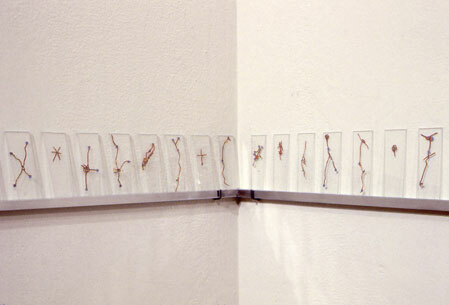 A second dissection was made of an identical map, extracting those places were the roads came together to form small knots or clusters and placing them between glass microscope slides. 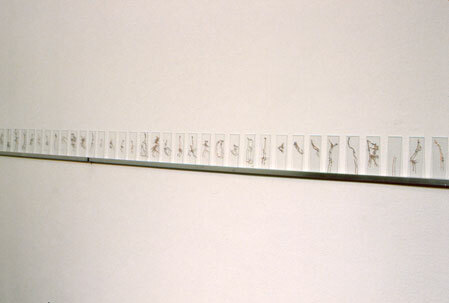 Many of these extractions became quite figurative. 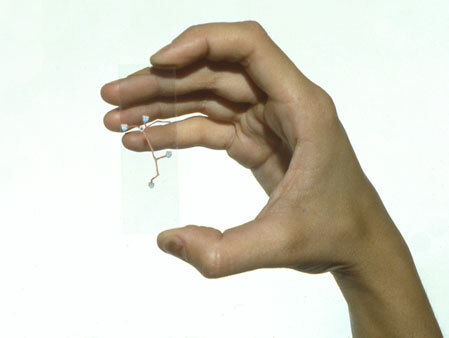 One of the microscope slides got nicknamed "the soccer player" because it looked like a person kicking a ball.